Whether you run for recreation and have grown bored with your performance or you train athletically and need more power, you have many options to increase your speed. Speed and power go hand in hand with running. To get faster, you need more power to your legs, a harder push behind you. You won’t develop that power in a month of Sundays with steady-state cardio. All that will do is condition you more for the pain of steady state cardio, create better efficiencies with your stride. All the speed you gained when you first start a running program eventually levels out. Then you need to do something else. You need a little push-back in your life. In aeronautics, we call this drag. It’s the force pushing against the intended direction of a vessel. In the case of Earth, drag comes in the form of atmosphere. Humans have to deal with drag too. For the most part, we acclimate to the standard drag on our bodies, but we can take more. If you train with more drag than you will encounter in normal conditions, you may see improvements in the power to your wheels. There are three simple ways to do this: add weight, create actual atmospheric drag, or sprint the hills. Since drag is a force acting against your intended velocity, adding weight to your body can have a similar effect. With a weighted vest, you’re not actually experiencing more headwind, but it sure feels like it. The adaptions to your legs, A.K.A. wheels, are effectively the same. The key to running with a vest is to first find a vest that fits you. You can toss bricks in a backpack to create the same effect, but you’ll have bruises on your hips and back. Not a good plan. A sloppy-fitting vest can bruise you too. You could also tow a weighted sled, but not far. Vests are more versatile. The weights in the vest should snap into tight pockets. The vest should pull tight in all direction until it becomes part of you. On the downside, it may make breathing difficult, but this is training. If you’re running steady-state cardio, like marathon training, you can just wear that vest on runs. Alternatively, you alternate between wearing it and not wearing it., running short distances. Alternating on and off will not only keep the activity more interesting, the variable challenges will force you to work harder to adjust, keep your nervous system in an adaption phase. Try one method for a month, then the other the next. See which renders better improvements in your standard times. You may have seen these. They are just what they sound like; a parachute that trails behind you. This is a drag, literally. For runners who do run against headwinds, like places where the wind may pick up at random, training with a chute is almost mandatory. You have to be ready for that wind to sack you at any moment. Otherwise, when it hits, you’re done. 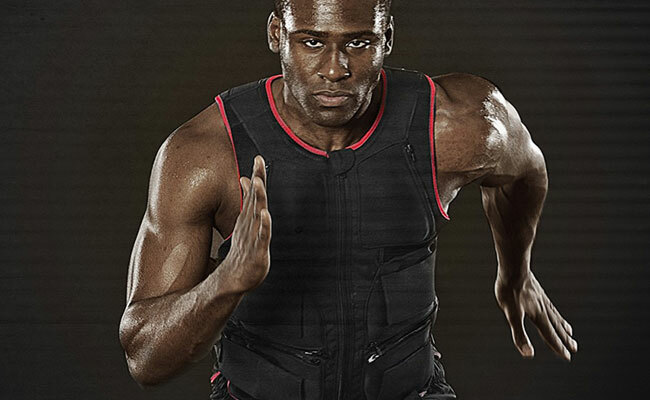 What the chute gives you that a weighted vest cannot, is something called variable resistance. The harder you run, the more resistance you feel, just like the effect of a headwind. For athletes, parachutes are usually used by sprinters trying to squeeze every hundredth of a second from their sprint that they can. Don’t assume you won’t benefit if you are training for a marathon. Think about it in these terms: If you could run every marathon with a parachute, then one day ran one without, you would run like the wind. Deploy for the last 10-50% of your training until you acclimate. When all else fails, hills make a cheap, equipment-free alternative for creating drag. 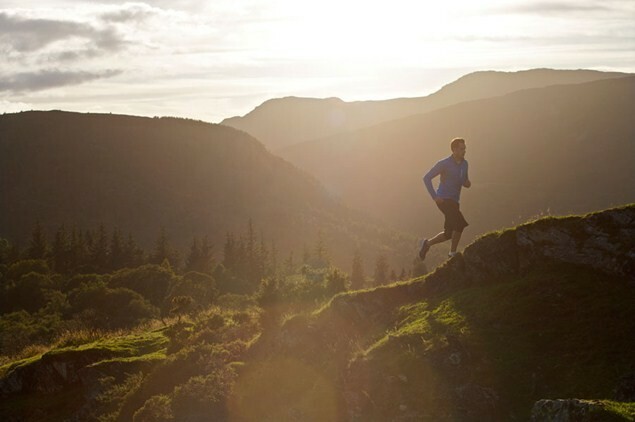 Depending on the hills where you train, you may get the added benefit of temperature and oxygen variables. If you’re training for a run in the desert, you may want to rethink this type of drag. Try to find hills that get you as close as possible to the climate of the environment where you will compete or train. You can use hills in a number of ways. The straight forward method is to pick a path then run it. In most cases, this will help you create power better than your flats run no matter what. You can also find an appropriate hill, considering your conditioning level, then use it to run hill sprints. When you run hill sprints make sure to ease back down the hill, but run hard the whole way up that thing, then take breaks as necessary. You can overheat fast on hill sprint, so stay hydrated, but don’t water log your stomach. That’s a recipe for vomit. In any case, pace yourself until you adjust to given hill. It may take more than a month. Then find one that’s longer or steeper. Start at the bottom. If you’re insane, you can combine these methods. If you can run the steepest hill near you with a weighted vest and a ‘chute, nobody is gonna catch you when that gun goes off, even if it’s only in your head. These are not training methods for the uninitiated. You need some conditioning before you start running against drag. Nausea is still common, even if you’re accustomed to pain. Plenty of water, plenty of rest. Eat right after you train. You’ll get faster, promise.